What do musical artists Lorde, Post Malone, and Keith Urban have in common? They’re all playing the same question-and-answer game. It’s part of a project called “Big Talk” created by Kalina Silverman, a 24-year-old Los Angeles native, in 2014. The goal of “Big Talk” is to encourage deeper conversations and develop more meaningful relationships by skipping small talk, which Silverman said she didn’t find helpful in college when it came to creating deeper friendships. In the first video for the project, Silverman asked strangers in Los Angeles what they wanted to do before they died. Some in the video were stumped while some cried. Everyone featured shared personal thoughts and experiences. “Big Talk is inspired by my desire to ... help people feel they can open up in more meaningful conversations in their lives in an easier way,” she said. After college, Silverman incorporated it into her project for a Fulbright scholarship in Singapore. The U.S.-funded program offers students and recent graduates research and teaching opportunities around the world. In July, Silverman also went to Bali in Indonesia and asked questions there. Silverman, whose mother is Chinese, said that often in Asian cultures, emotions aren’t communicated and the idea of "big talk" is not as common. Research has found that Asian Americans and European Americans tend to communicate emotions differently and define emotions such as happiness in different ways. Silverman said that her grandmother was restrained in outwardly showing love and emotions with Silverman’s mom growing up. And Silverman also noticed that her Asian friends might have lacked more open relationships with those around them. In Singapore, Silverman wanted to investigate why people were struggling to open up and have more meaningful conversations. 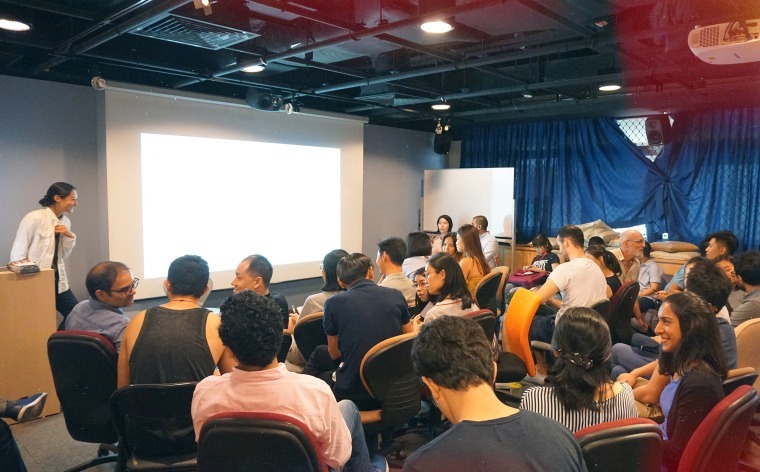 So she used her questions to explore the relationship between Bangladeshi migrant workers and Singaporeans, hoping to compare the responses and try to find common ground. “However, despite external perceived differences, certain themes resonated across cultures; A desire to work hard and build a better life for family members, yearning for the beauty of home and natural surroundings, missing deceased loved ones,” Silverman said. The uses she’s seen have been diverse – including a soldier in Israel using it as a bonding tool in his unit, a long-distance couple writing letters to each other based on one question, or a school basketball coach trying to get to know his students better.